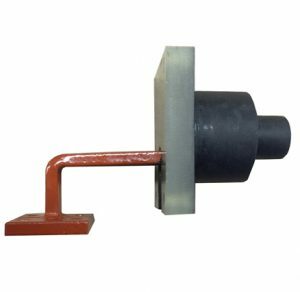 Induction Heating Coils | Magneforce, Inc. 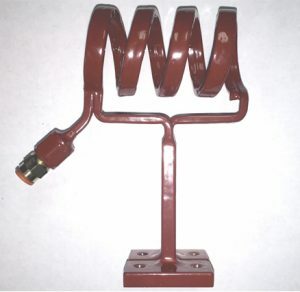 The Induction coil is the output head of the induction heater. 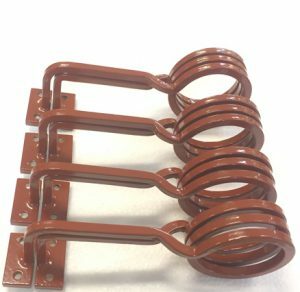 Magneforce takes pride in providing our customers with the best coil type for the job. 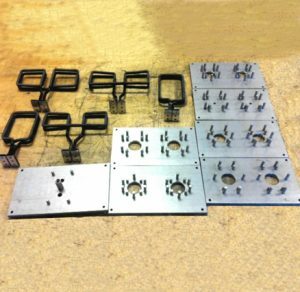 Coil design is considered from the outset in combination with the power supply. 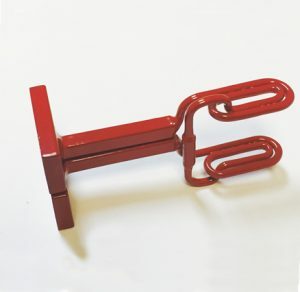 A well designed coil provides the most desirable heat pattern as well as the best efficiency. 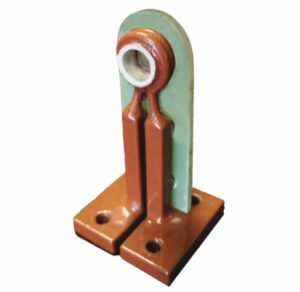 Coils which focus heat in small zones are constructed of water cooled copper tubing of a specific shape and attach to an output transformer which steps down the voltage and increases the current flow and intensity of the magnetic field. 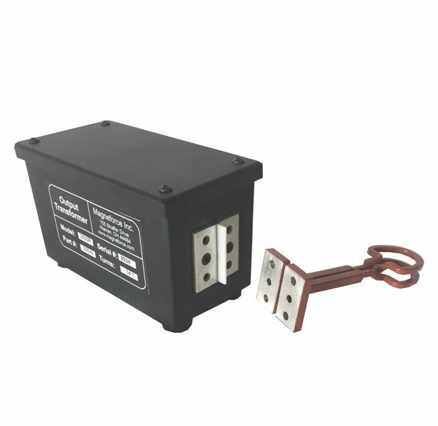 The combination of coil and output transformer provides an appropriate inductance for the resonating circuit. 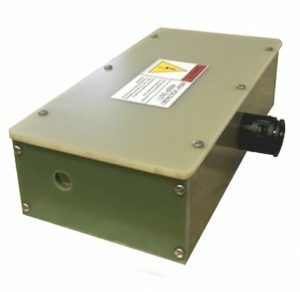 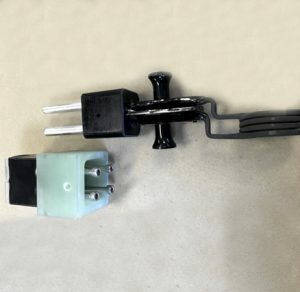 Transformers feature plated terminals with O ring seal water ports. 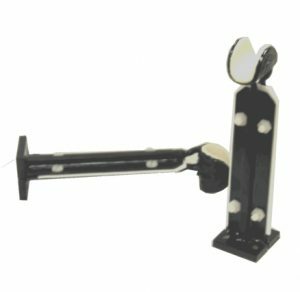 Coil attachment screw locations use stainless steel helicoil inserts for durability. 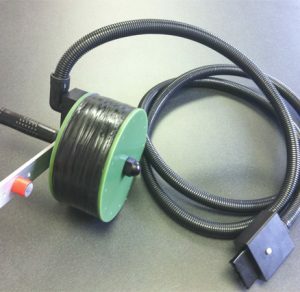 A quick change coil configuration is available. 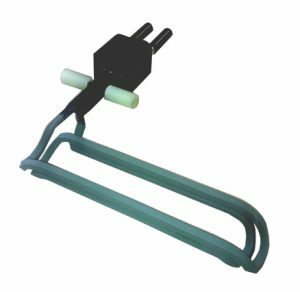 Induction coils are also designed for direct attachment to the induction heating power supply. 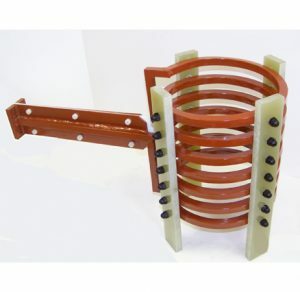 This coil type has a number of turns and can be wound from wire or water cooled tubing depending on the application. 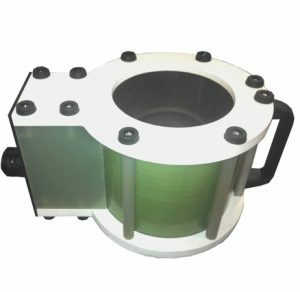 Since these coils operate at a higher voltage they are protected with appropriate insulation or covers. 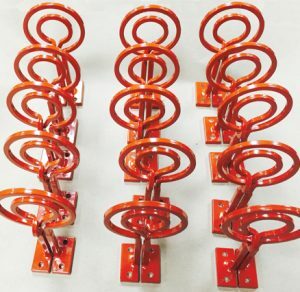 The coils can be air cooled or water cooled depending on the size and the final temperature of the part to be heated. 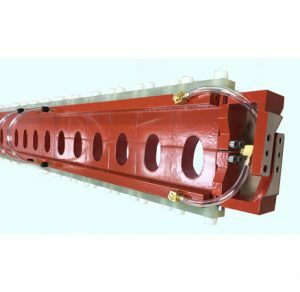 Some examples include the conduit heater coil and bearing heater with magnetic attachment. 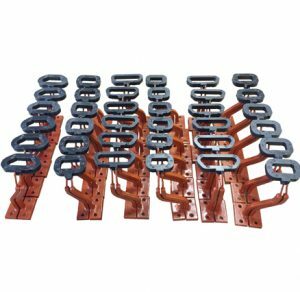 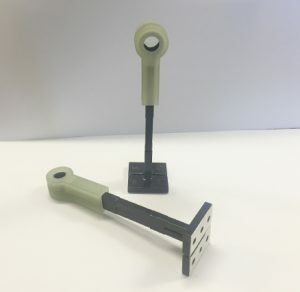 Coils can be configured to surround the part (helical), to fit inside of the part (internal), to heat a flat surface from top or bottom (concentric), or to come in from one side (U or C or split helical types). 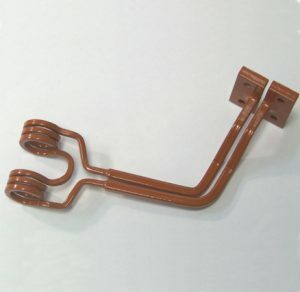 Coils can also be machined from solid copper. 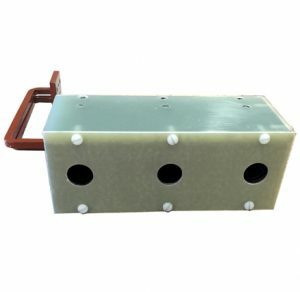 All Magneforce coils are insulated with ceramic or epoxy coatings, encapsulations or other housings. 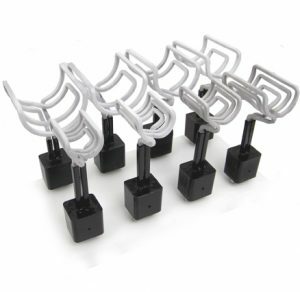 Each coil is selected to suit part geometries and part presentation. 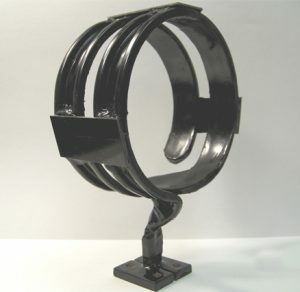 Coils can be wound to produce either longitudinal or transverse flux fields.